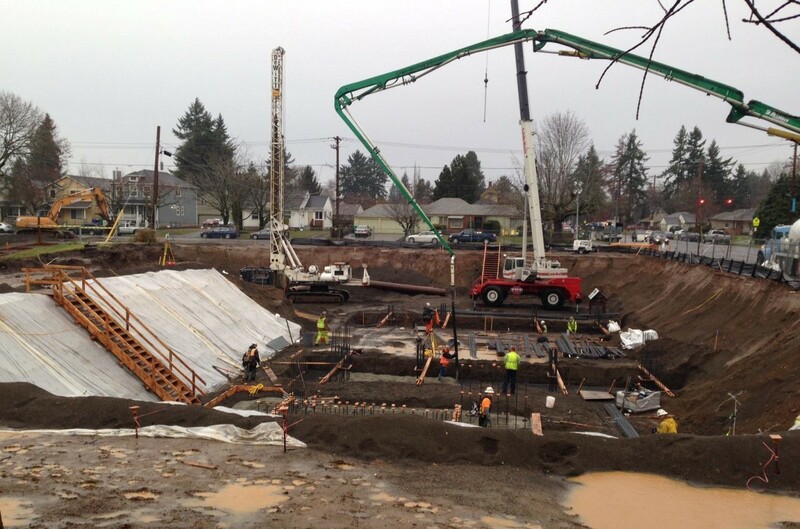 The slowly filling hole in the ground at Portsmouth and Willamette is slated to be occupied by 270 students in state-of-the-art, weather-sealed residence units by August, when the 2016-2017 term begins. The new residence hall is as yet unnamed. 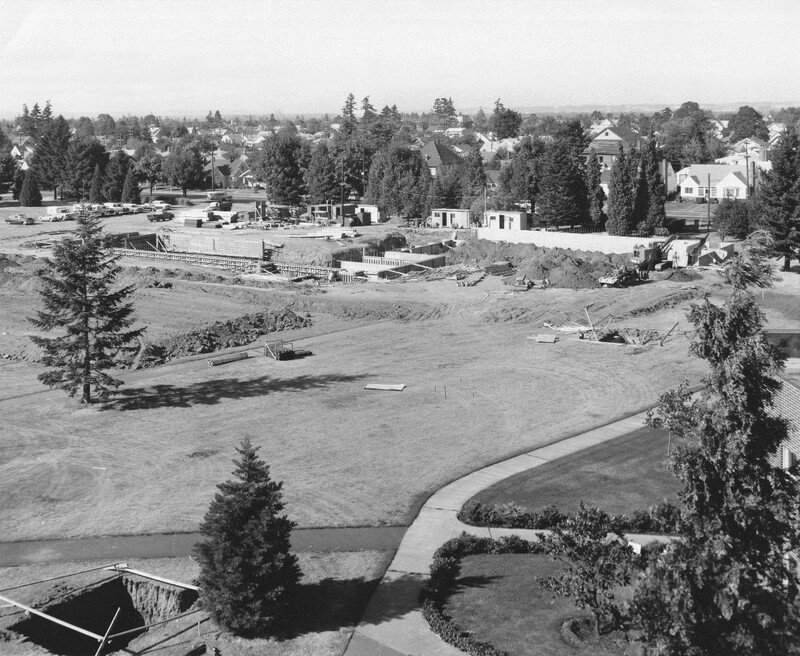 Which takes us back fifty years when an earlier building was announced for campus in 1964, intended to house 400 students with a projected cost of $1.8M. By 1965 plans were scaled back to 260 students at $1.25M. 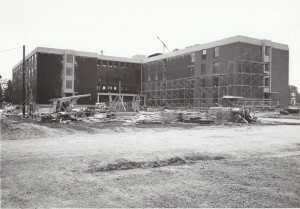 When ground was broken in July 1966 the construction plan allowed a full year to finish and occupy the building before August 1967. 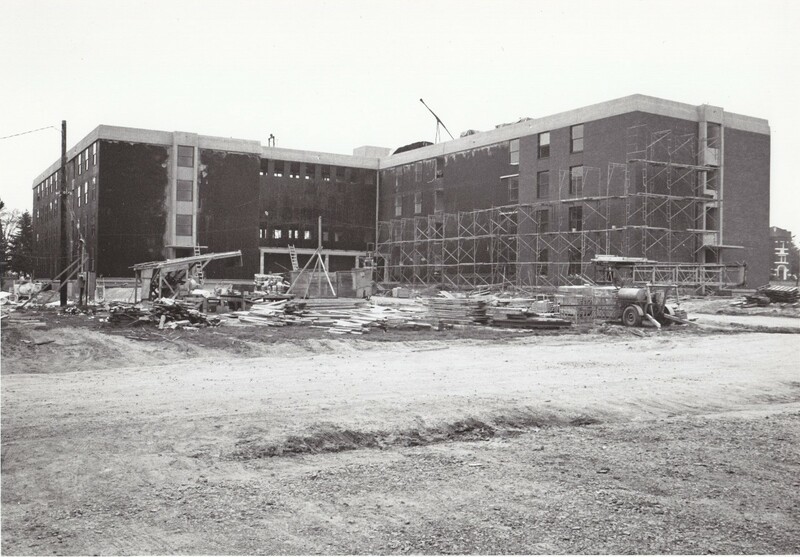 Still, even then, an anxious touch-and-go proposition, according to the weekly Faculty News & Notes: “the men’s dormitory will pass the halfway mark in allotted construction time. At last report the project is on schedule with about 35% of the work completed”, February 10, 1967 (emphasis added). But the building appearing on 1967 Campus Maps as New Men’s Dormitory was ready, and received the first class of student residents in August. It was another two years before the building received a christening; dedicated April 9, 1969 as Shipstad Hall; named for UP benefactor and Dad (two children attended UP) Eddie Shipstad, who received an Honorary Doctorate of Fine Arts in 1963. So welcome Unnamed Co-ed Residence Hall of 2016. Shipstad Hall was delayed two years getting a name, and waited 20 years before becoming UP’s first co-ed residence hall in 1987, but was there on-time when students arrived and is still proudly serving today. I was a raging Protestant on the turf of the u of p. The academics and teaching priests never recognized my identity, They didn’t care. It didn’t take long for me to recognize that the philosophy courses that I was required to take etched me forever. They, Fr. Leah’y, Fr. Drain, the third instructors name I have forgotten insisted that I use my mind to think. I would be embarrassed to tell you my grades in these courses.. Nevertheless, I was able to graduate. I will be grateful forever. 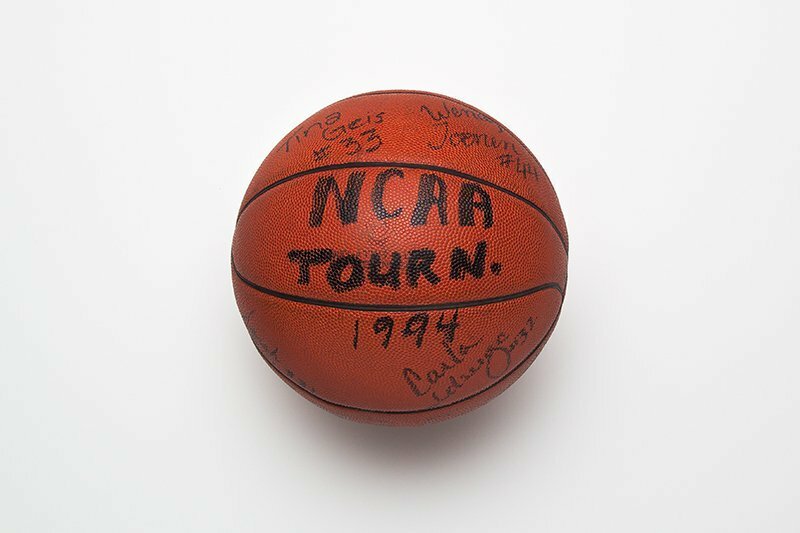 , There is still much work to do by the University. God bless.